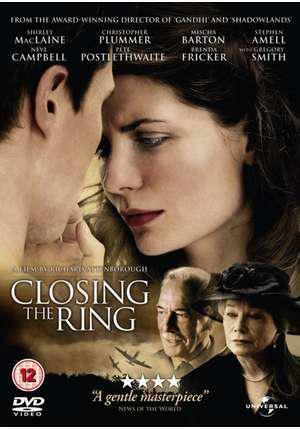 Oscar winning Director Richard Attenborough helms a deeply moving love story, beautifully interwoven between 1991 and World War Two, about how an American woman honoured a wartime promise with a lifetime of denial – and how the discovery of a gold ring on a distant Irish hillside brought her back to life. Set in Belfast, Northern Ireland during WWII. When a B-17 crashes near the city, the dying rear gunner asks a local to return his ring to his girlfriend back home. Half a century later, a young Belfast man finds the ring, learns its history and tracks down the old girlfriend in North Carolina, who it turns out has married the gunner’s best friend.